With the prevalence of running related injuries hot on the tongues of running enthusiasts and health professionals alike, we take a deeper look into why foot over-pronation is unfairly maligned as the cause for a slew of running-related injuries. 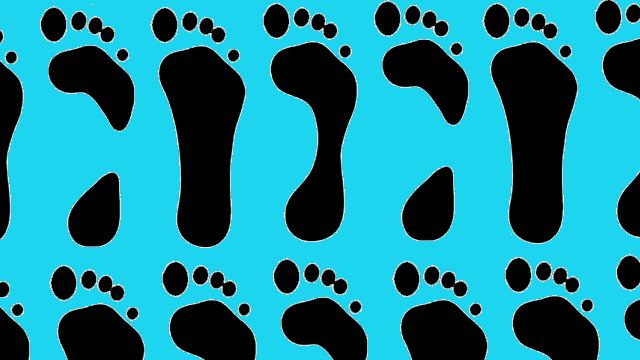 There are undoubted instances where migration of the talus and ligamentous change affects the normal temporal mechanics of the foot during gait. These instances however are much less common than many would have us believe. The problem arises not in the presence of pronation (calcaneal eversion), but when the pronation cannot be decelerated and converted into supination. Normally in gait, we land on the outside of our heel and our momentum forces the heel bone (calcaneus) to tilt (evert). This tilting forces the talus to move down, inwards and forwards. The momentum from these motions are converted into inward spin of the tibia, and this sets off a chain reaction up the body whereby the glutes are loaded and we can efficiently propel our body weight forwards. During the latter half of this phase, another key process occurs. As the pelvis rotates around the leg in contact with the ground, this energy is transferred down the leg to the foot and produces supination of the foot. 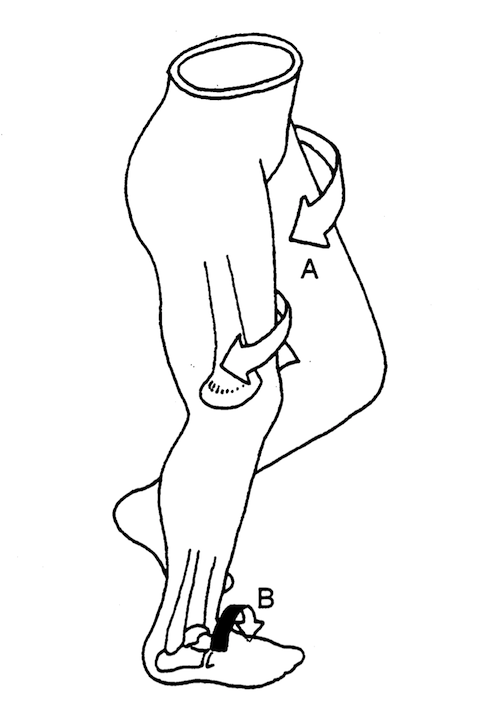 This supination transforms the foot into a rigid lever that we can use to efficiently push off the ground. Figure 2. 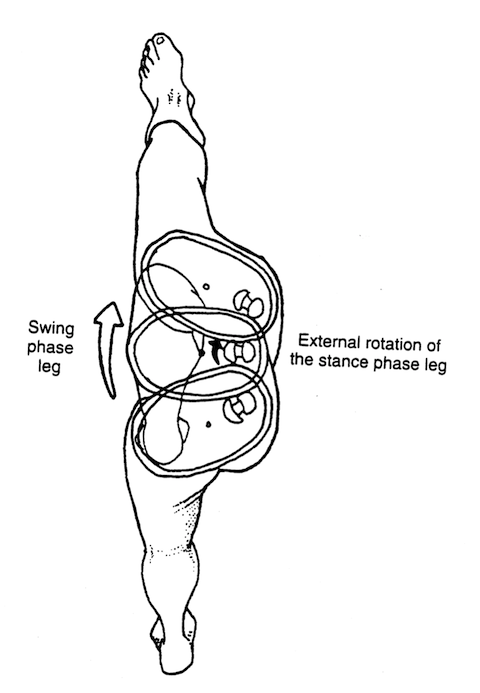 Pelvic rotation creates energy that is transferred down into the stance foot. The point here is that pronation is not only normal, but it is imperative in the normal shock absorption of the body, and in loading the kinetic chain to produce an efficient gait. Problems arise when pronation occurs so excessively and with such velocity that it cannot supinate in time for push off. This renders the foot a flaccid lever, ill equipped for takeoff; as a result, both local and distant tissues are injured as they struggle to cope with poorly absorbed vertical load. So just remember that ‘flat feet’ and ‘pronation’ are not the villains here, and are far too often accused of being such. The presence of pronation is not a sign of dysfunction; it is when this pronation is occurring which is clinically significant.